Today we have an app for every task that we can possibly think of during the day. The purview of apps has grown so much lately, that every industry from retail, to IT to food to education, has been revolutionized by applications. Unlike the ancient times when smartphones in the hands of children were considered a ‘distraction’, today we have transformed them into a means of empowerment and active learning. It is an undeniable fact that students will always need teachers to guide them and educate them. However, the means of imparting knowledge can change with changing times. The comfort and ease with which the younger generation uses technology is the foundation of the growing popularity of education apps. Can you imagine what can happen if the educators combine their skills with an app? A paradigm shift in the teaching culture. 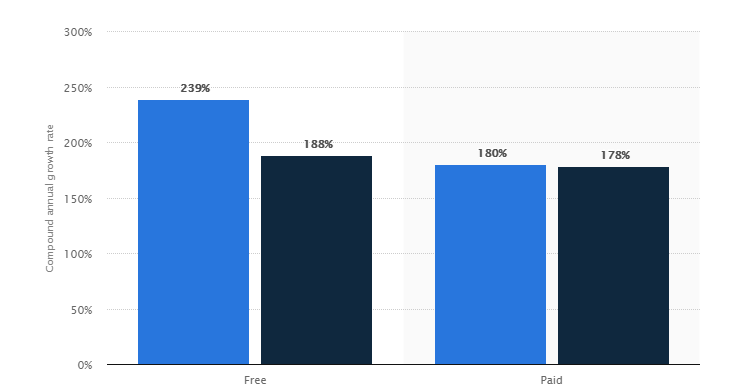 If you look at the worldwide statistics of the compound annual growth rate of education app downloads, both free and paid from 2012 to 2017, you will observe an increased rate of downloads. This shows us that the paradigm shift has already begun. If you belong to the education industry, a lot of questions might have cropped in your mind at this point. Some of them being: What kind of apps does education category include? What features do they offer, and how will they benefit students as compared to traditional teaching methods? There are a number of quality learning apps in the app store today, but is there an app particularly designed for your needs? Not only students, each one of us around is in a learning phase. We can never learn enough. A courseware or a course software is the part of a certification course or a special vocational course started by schools for their students. A courseware includes, but not limited to, the study material such as kits for teachers or tutorials for students. Most educational companies include courseware in their training packages which includes tests, lessons etc. related to that particular class. 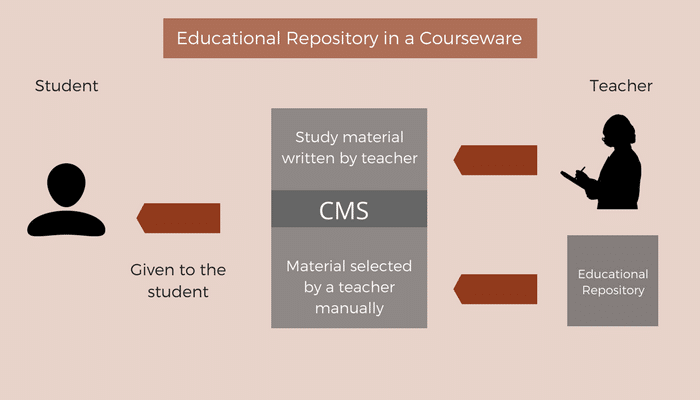 Here is how a tutor utilises the educational repository in a courseware to filter the right content for the students and deliver it through a CMS. 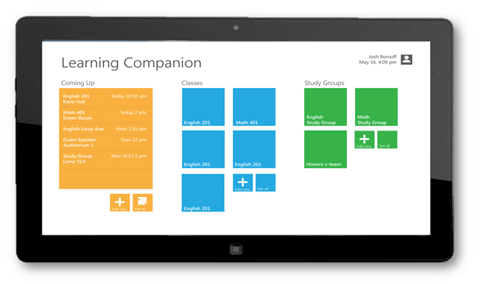 Classroom aids are the apps that are specially designed to be used in the classrooms. Usually, these apps are to be projected on the whiteboard while the class is going on. Mostly used by teachers in class, these apps can improve the communication and enhance the credibility of the information resource as these are often created by renowned book publishers. Apps that assess and test the candidates, then compute the answers and show the scores to the user. This app category can be very useful in coaching institutions and colleges, employers, and defence academy, where assessment is a frequent process. It is a hassle-free and environment-friendly way of assessment as it completely eliminates the need of paper. Apps of this category mostly include dictionaries, encyclopedias and other reference books. Researchers, professors and scientists can get themselves one of this kind, to look up terminologies of their niche. It can also be used by students to develop a deeper understanding of a subject or a topic. The following is The Encyclopedia of World Knowledge, Science & History. 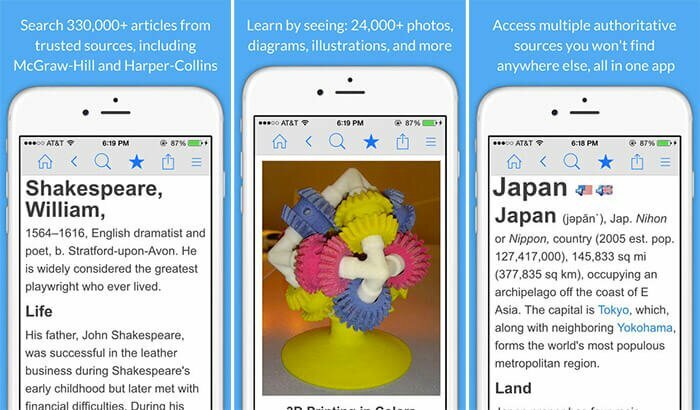 It is a free reference app that helps you find comprehensive articles on various topic related to science and history. The app offers about 330,000 articles, 77,000 audio pronunciations and 24,000 images gathered from trusted sources. Apps for highly specific niche markets, such as driving test, typing tutors, medical and healthcare educational software. For example, if we consider medical students, an app that enables them to carry a simulated dissection is a type of a custom education software. Such apps will be specifically used by medical colleges. The apps that are designed for building proficiency in a particular language. These apps can be developed for all age groups. The languages may range from being location specific to programming languages. For e.g, colleges can use such apps to help students learn computer programming languages such as C++, Java, etc. Education app for kids forms the most popular of categories. Apps of all kinds including games, puzzles, math work, aptitude, general knowledge, science etc. can be developed based on the need. Many a time these apps have gamified the learning experience to provide a fun way to learn. These apps can be developed based on specific teaching techniques and patterns of coaching institutes that prepare students for entry-level exams. Schools can also get these apps to help students assess themselves to find a decent work field, crack an entrance exam and get a college. 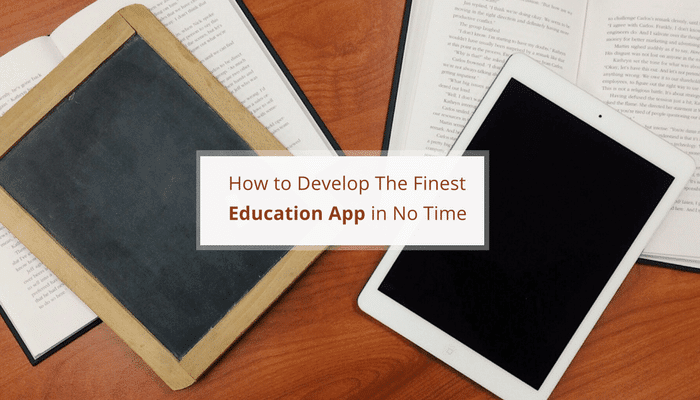 Why Should You Get an Education App Developed? When you look at the feature list you could fill your app with, you’ll be stunned at how useful the app gets with every concept and motive added with the feature. Technology innovations have propelled humans to get faster and sharper. The future education system is overcoming the constraints of traditional learning and leading towards an era of standardised data that is available through the single point global distribution system. Astonishingly, mobile apps have all the characteristics and capability to offer a learning experience that is more adapted to the new generation. There are students who find it hard to learn from traditional textbooks and whiteboards. For such students, learning via interactive apps work wonderfully in stimulating the mind. Apps for all levels of potentials and skills exist in the market with a variety of teaching methods including Q’s and A’s, educational games etc. Subjects are also extensive, so there’s a massive amount of supporting material to any teacher’s curriculum. Keeping teaching methods fresh is integral to getting students involved in their studies and learning apps are an excellent way of achieving this. Mobile phones are very convenient and are carried everywhere. Using apps is a routine of every internet user whether you watch a video on your way to work or play a game at lunch. 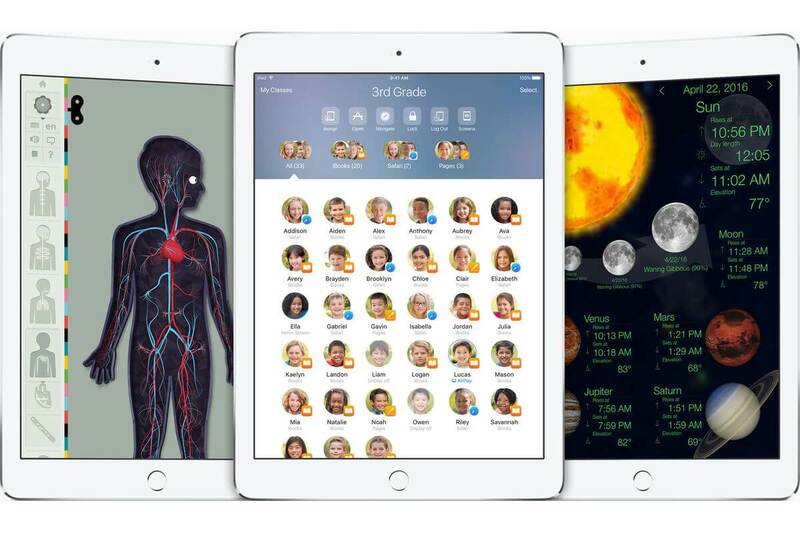 Apps are movable and convenient, enabling students to learn whenever they feel like. No longer do they have to hover around crumpled textbooks, libraries or sift through notes to find answers to their questions. Apps also let people take their learning into their own hands so they can study and test themselves at any point during the day. There are specific apps which are designed not only for learning but also to stay updated about campus events, timetables, alerts and other relevant information. Apps can also let you make the college payments such as tuition fees, library fines, etc. They also provide chances to interact with students all through the life cycle of prospects, enrolled students, and alumni. While tons of trees are cut down to make papers for the traditional learning, mobile apps in education require just a download. It means greener earth for future generations. The mobile learning process has sustainability. Completing a lesson with an app is much more useful than it is learning from experience rather than from compulsion. The features of the educational mobile app will entirely depend on the category you choose as per your needs. However, there are few mandatory components that an educational app should have. Social media integration is an integral feature of most apps. It is no different in education apps as well. Social media integration makes signing in process and registration process a matter of few taps. This is a wonderful way to save time as you don’t have to type your name and other personal data from scratch each time. Video content is the easiest and most popular way to study. This feature lets you create and watch videos and live streams of lessons.You can also upload them or stream if you are the tutor. Don’t forget that students can rewind and re-watch videos as many times as they want if they do not understand a point. This feature will be beneficial for the teachers and the students. The teacher can observe and analyse how well the students are able to sink in the information, and students can test themselves. Also, you can employ it as a survey platform. Leaderboards are like result boards that display the names of top performing students of the class. Healthy competition is the spirit of learning. You will be surprised to see how hard students can work when they are motivated to work as well as brighter students do. Any educational app will benefit from the leaderboards. Flexibility with language is another feature that should be there. The ability to offer learning material in different languages is a great advantage of any educational app. A student can ingest information in the language he likes and is comfortable with. Also, this way a lot more people will be able to use your app and learn. This is an extra feature that can be added to inspire students. The ability to see how much have you already learnt is a huge morale boost and self-esteem enhancement. Also, when students get some kind of acknowledgement, they feel a sense of accomplishment that motivates them to do better than the last time. This is a very perky tool to have when you are working in a team because it gives you access to Google Drive, Dropbox, Microsoft Office online or any other cloud services will help you work on the same file at the same time. This element lets users access the course syllabus, learning lessons, and assignment for the course. The complete course must be managed in weeks format or in learning units. These learning lessons offer users access study materials, which can also be downloaded for future reference. Every user requires being notified of all updates with regard to their course. Therefore, there should be a separate segment in your education app to handle notifications. A private messaging functionality is an added advantage for education apps where both students, as well as tutors, can communicate smoothly. The faculties can filter these messages by student names and the students can send private messages to the faculty. Most of the educational apps have an activity panel where students can look at the latest events involved in the chosen course. They can easily track down all events employing this feature. However, this component varies from application to application. Some apps can also offer filter option so that the users can sort the activities date-wise or subject-wise. For every other feature idea for your customised app, you can get in touch with some experienced developers and get started with your education app. Making an app for the education sector is not a child’s play. You need two significant investments for the amount of good that’s promised. Financial investment – You definitely will need to shell bucks to create an education app that’s worth its while. Time Investment – Even the simplest iPhone app will take a considerable amount of time to develop. Yes, you could blow a simple app out in about two weeks’ time, but a planned educational app with true features will take time. So be patient and get started with your developers to get hands-down the best educational app out there!